It's kinda amusing how musicians have long discussions/arguments and are sometimes prepared to pay over the odds when it comes to "the guitar sounds better when it's made out of [this sort of wood] or [that sort of wood]..." but now it's expected that people will pay big bucks for a guitar that's literally made from pieces of old chairs. There was a guitar for sale in the UK recently made from the flooring of the old Hacienda club in Manchester. I'm sure it said there is only four made and Barney from New Order/Joy Division owns one of them. Anything along these lines is surely just a showpiece? You'd maybe play it on rare occasions. They look like those Axl Badwater guitars and you c an pick them up for about �80. Great to see things recycled but the prices just cancel out any goodness in these projects. They just become something else for all the rich bastards to hoover up. Ah, see, the supreme acoustic properties of the Hollywood Bowl as a venue have, over the course of hundreds/thousands of concerts, attuned these seats to a wide yet rich resonance spectrum. Think of how good guitars that have played in just small bands in just small venues sound after a couple of decades; these have been exposed to entire orchestras (and some of the best rock acts!) for at least that long. Cognitive dissonance is a wonderful thing. "This guitar is worth at least $20,000, as is proven by the fact that I spent $20,000 on it." 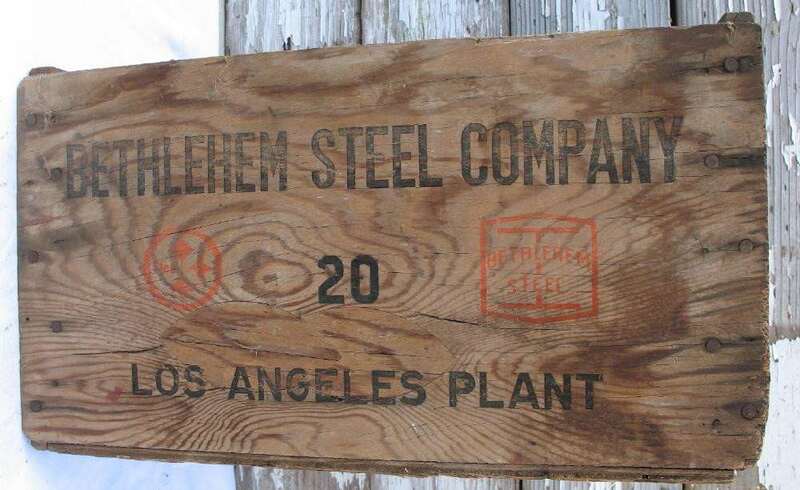 I have a Bethlehem Steel - Los Angeles crate much like this one sitting at home; I think I need to make a Telecaster out of it. Maybe a Telemaster I dunno. The kiln-drying process disrupts the natural realignment of the wood's TONE MOLECULES. Christ. The Bowery guitars look neat, though. I give them infinite props for not relicking the Bowery guitars. Tinting the neck is borderline but forgivable. it's like owning a guitar that's touched a thousand butts! our bethlehem steel plant caught on fire about a year ago. i drove right by it on this street on the way to work. it was one of the awesomest things i have ever seen. DUDE build a guitar from it!